Financial services company Protective Life has agreed a naming rights deal for a new 55,000-seat stadium being developed in the US city of Birmingham, Alabama. The 15-year contract will name the new facility Protective Stadium. 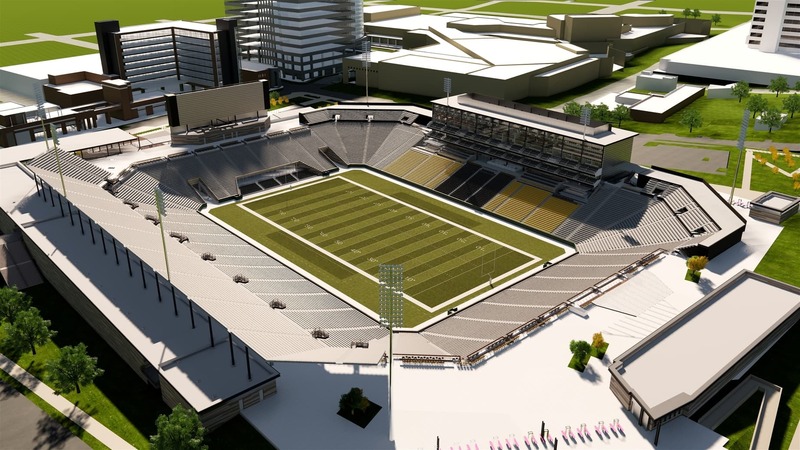 It will host University of Alabama at Birmingham American football games, and has been earmarked for completion by mid-2021 when it is set to be used as a venue for Birmingham’s staging of that year’s edition of the World Games multi-sport event. A groundbreaking ceremony was held for the stadium in December, but with construction work not scheduled to commence until late summer or early autumn it is currently unclear whether the venue will be ready in time to meet its current opening target. Headquartered in Birmingham, Protective Life is one of the biggest corporations in the state of Alabama. The company agreed the deal with Birmingham-Jefferson Convention Complex (BJCC), which is overseeing the project. Protective joins the BJCC Authority, City of Birmingham, Jefferson County, University of Alabama at Birmingham (UAB) and other corporate partners in funding the $174m (£133m/€153.8m) stadium. Because of the private and public partners dedicated to this project, officials believe Birmingham will have the ability to host more events, provide diverse entertainment offerings and create continued growth opportunities. Schoel Engineering recently completed the site survey, and Populous is finalising stadium designs. Relocation of underground utilities and foundational work is scheduled to be underway soon.